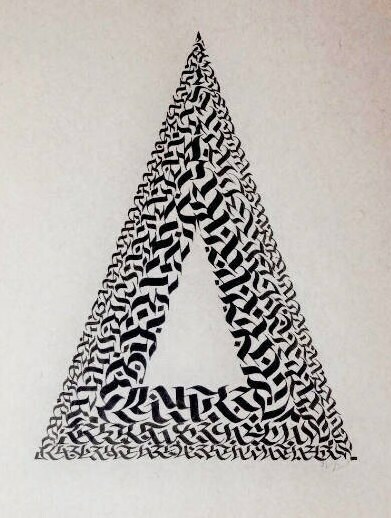 This piece is titled 'Magic Triangle. It is an original one of a kind work of calligraphy. 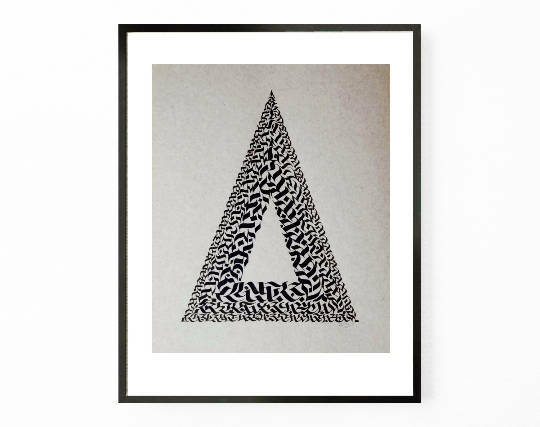 This wall art has a sleek minimalist style that is sure to add beauty to any room in your home. 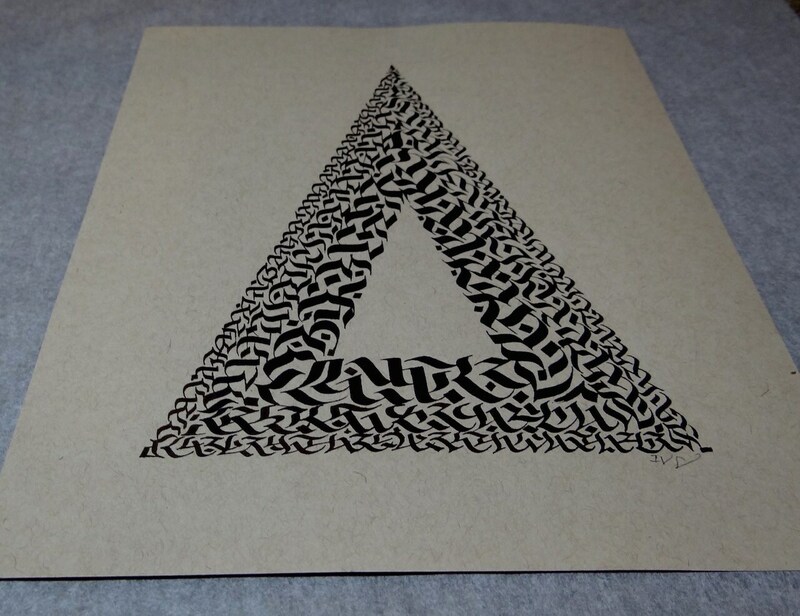 This magic triangle is hand drawn using black ink on tan paper and measures 8"x10". This artwork is placed in a clear plastic and enclosed in foam with cardboard for protection during shipping. Every art piece is hand signed by the artist! Please note this item does not come with a frame.